Tabetha will walk you through recreating the featured painting. Take as much creative license as you like to put your own spin on your canvas to truly make it your own work of art! 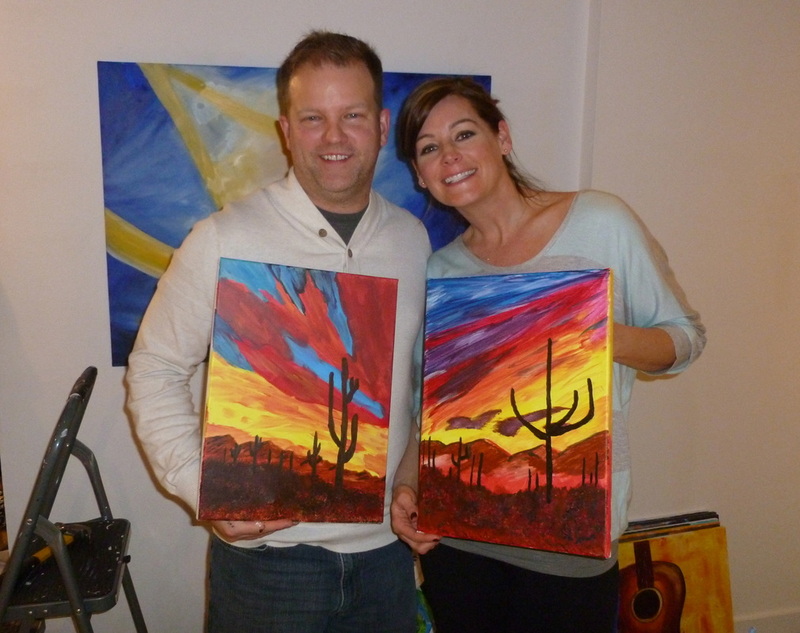 Want to host your own painting party with family, friends or coworkers? Click here! No experience necessary - beginners are encouraged to join in the fun! Each painting is created by Tabetha with beginners in mind, and touches on some basics of acrylic painting. This includes color mixing, brushwork, composition and technique. Acrylic classes are generally 2-2.5 hours long, and you go home with a finished painting. All for the art supplies are provided (or bring your own for a discount!) Come as you are and be prepared for a fun, creative time! "We had so much fun painting our sunflowers! Tabetha is a great, fun, patient teacher and we will definitely be back! Thanks Tabetha!" Alli T.
Don't forget to enter your discount code if you're a member of our Facebook or Meetup.com group!